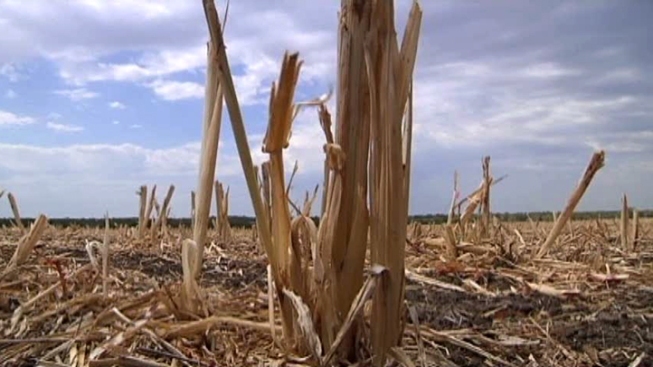 Due to the drought, Texas agriculture has lost $5.2 billion so far. The map colors depicting the Texas drought have brightened somewhat as good rainfall pulled about 15 percent of the state out of the most severe drought stage. The U.S. Drought Monitor map released Thursday shows 73.1 percent of the state in the exceptional range, down from 87.9 percent last week. The National Weather Service estimated an average of about 2 inches of rain fell across a large swath of parched Texas the past week. The state is in its worst single-year drought. Agriculture has lost $5.2 billion, a figure expected to rise. Lakes and rivers are drying up and water suppliers have implemented restrictions. The Aug. 2 map was the last time the most severe stage was as low, when about 73.5 percent was in exceptional drought.